Poor Niccolò Machiavelli (1469-1527) died bitter and unaware of the notoriety that his works would one day bring him, and he would be amazed and probably appalled to learn that his name had become synonymous with cunning, amoral intrigue. Not to mention, in recent years, an Xbox game and name checking rappers Tupac and Lil Wayne. 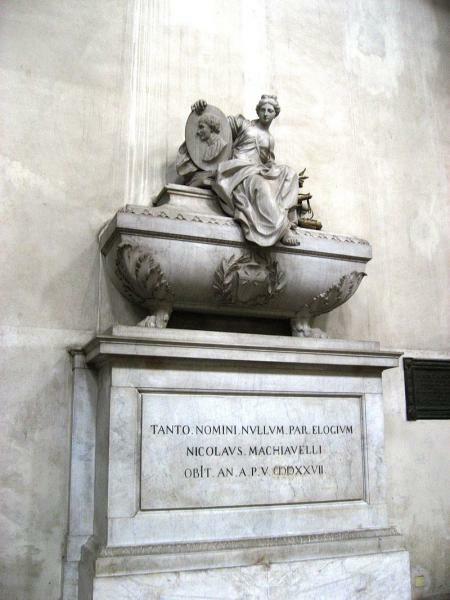 Born into an old Florentine family, the son of a lawyer, Niccolò studied Latin and devoured the classics. After the expulsion of the Medici and execution of Savonarola in 1494, he was the rising star of the new Florentine Republic – a brilliant civil servant, Secretary to the Second Chancery, in charge of the city's official documents, and Secretary to the Ten of Liberty and Peace (the commission which oversees military matters and foreign affairs) at the heart of the government. As a diplomat, Machiavelli spent time in the courts of the Holy Roman Emperor, Louis XII of France and the Rome of the Borgia Pope, Alexander IV and his ruthless son Cesare Borgia, who inspired several examples The Prince. He was in charge of the Florentine militia, firmly believing it should be composed of citizens, rather than fickle mercenaries, and notably led them to a victory over rival Pisa in 1509. Then, in a brutal twist of fate, the Republic fell, the Medici returned to power and he was arrested and imprisoned in the Bargello, tortured and soon expelled from the city with his wife and six children. Machiavelli lived in enforced idleness in the family's country estate in Sant'Andrea di Percussina, where he wrote his political works and two fine plays, feverishly trying to return to favour, even dedicating his most famous book, The Prince (written in 1513, published posthumously in 1532) to Lorenzo, Duke of Urbino (a nonentity further glorified by Michelangelo’s Medici tombs). Machiavelli’s main concern throughout The Prince was to advise realistically, without mincing words, the fractious and increasingly weak Italians on how to create a strong state; his dark reputation came from openly stating what rulers do, rather than what they would like other people to think they do. The Church soon placed it on the Index of Forbidden Books, but as the left-wing philosopher Antonio Gramsci commented, the treatise wasn't really for rulers, because they already understood The Prince: it was for the people to understand what their rulers were about. Some commentators, such as Leo Strauss, have even suggested it was an elaborate satire. From 1517 on Machiavelli's terms of exile were relaxed, and he soon became one of the leading light at the intellectual confabs in the Orti Oricellari. Because in his later writings, notably in the Discourses on Livy (written in 1517) when Machiavelli wasn't trying to curry favour, he argued instead for a renewed Roman republic, with freedom and democracy and civic virtue. His theory of checks and balances, among other ideas, were studied by the founding fathers of the United States, and came in for special praise from John Adams in his Defence of the Constitutions of Government of the United States. In 1520, Machiavelli was made the official historian of Florence, and published the only treatise that circulated in his lifetime, The Art of War, which he set as a Socratic discussion in the Orti Oricellari. 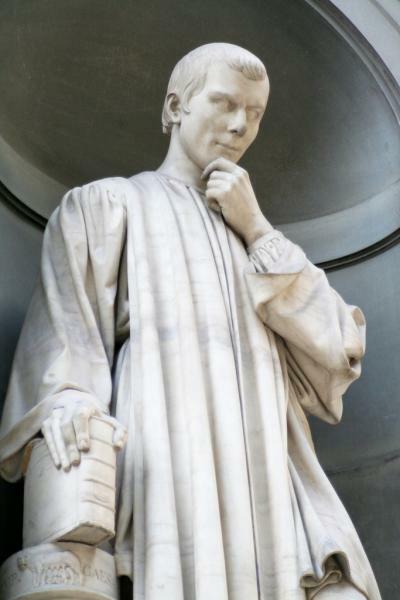 Although Machiavelli believed religion was man-made but useful (with Savonarola in mind, perhaps; he believed Christianity made people easy pushovers for despots), he took the late rites when he died, age 58, and was buried with honours in Santa Croce.